The Diplomat’s Zachary Keck spoke recently with Dr. Zheng Wang, author and Associate Professor in the School of Diplomacy and International Relations at Seton Hall University about the recent Third Plenum and China’s efforts at reform. 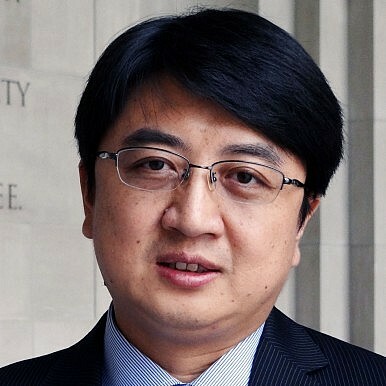 Dr. Zheng Wang is an Associate Professor in the School of Diplomacy and International Relations at Seton Hall University in New Jersey. He is also a Global Fellow at the Kissinger Institute on China and the United States of the Woodrow Wilson International Center for Scholars. His book Never Forget National Humiliation: Historical Memory in Chinese Politics and Foreign Relations (Columbia University Press, 2012) won International Studies Association’s The Yale H. Ferguson Award. He is also the co-editor of Clash of National Identities: China, Japan, and the East China Sea Territorial Dispute. The Diplomat’s Zachary Keck spoke recently with Dr. Zheng, putting the recent Third Plenum in historical context and discussing China’s reform efforts, as well as its crackdown on foreign media. The initial sentiment following the release of the communiqué was that the Third Plenum had been a failure. Then, when the longer decisions resolution came out, many analysts did a complete about face and declared it a stunning success. Where do you come out on these questions? Was it a failure, a success, or is it too early to tell? I noticed this attitude change, and I think there are two reasons for this. First, people had high expectations for the Third Plenum, but were disappointed to find that the communiqué was very general and plain. Only after the full report was publicized did people realize the comprehensiveness of the reform plan. Second, people are not familiar with CCP documentation. It has been a normal procedure to publicize the communiqué several days before the release of the full report. Actually, how to publicize information is another thing that the CCP should consider reforming. Beijing is not familiar with the way Western media works, so it only supplied a bad summary when the world was waiting for the plenum’s outcome. When the full report was released, the media’s attention had moved on. Why can’t the CCP release the communiqué with the full report the same time? Also, the Western media has focused much of its attention on the one-child policy and the establishment of the National Security Council. Unfortunately, both of these were secondary issues for the Third Plenum. It is too early to tell whether the reforms will be successful. The report provides an ambitious blueprint, but implementation is the key to success. However, I still think we need to congratulate Xi Jinping for this accomplishment. We can see the determination, courage, and compassion of the leadership in carrying out reforms in China. The report announced policy reform on several issues that the outside world has strongly criticized: one-child policy, death penalty, labor camps, judicial independence, and respect of the Constitution. And some changes have been made quickly; for example, it was reported that all those in the labor camps in Guangdong Province and Shanghai had been released. That deserves applause. Even though media and scholars are supposed to be critical, we should also recognize and praise any positive changes. Of course, we still need to watch the implementation of these policies. Reform is always risky, and change can bring about good results but also new dangers. Two things we do know about the Third Plenum is that the CCP pledged to spend the years ahead “comprehensively deepening reform,” and declared that the market should have a “decisive” role to play in the domestic economy. I was wondering if you could put these two phrases in their historical contexts and speculate about what you think they will mean in the decade ahead. Yes, historical context is important. Many China observers focus too much on the texts when interpreting the report. Without understanding the context it is impossible to understand this document correctly. We first need to know why Xi Jinping and his colleagues wanted to introduce the reforms, as they should obviously know that change always comes with risk and uncertainty. From my point of view, the main purpose of the new reforms is conflict prevention and management. Over the past couple decades, in the course of China’s rapid growth, problems have accumulated in areas from economic development to social governance. Many policies, such as the current fiscal and taxation policy, were actually made under the Zhu Rongji government, some 15 or 20 years ago. Thus, these policies are outdated and do not take current realities into consideration. Without solving these problems, Beijing will likely face major crises in the near future. So as Xi himself said shortly after the Third Plenum, the reforms were forced by the problems. One major problem that Xi has to deal with is the relationship between the central and local governments. Over the past decade, we witnessed an enormous expansion of power by interest groups and local governments. Many interest groups are state-owned enterprises (SOEs), and several major industries that are crucial to economic development, like electricity, oil and gas, and telecommunications, have been manipulated by several interest groups. The rapid growth of China’s real estate market is also partially due to the local governments selling land for profit. With these developments, the central government’s policies and regulations often could not be implemented at the local level. Former Premier Wen Jiabao openly complained that his policies could not even leave his office in Zhongnanhai. For the new administration, they know clearly that they will not be able to do much without resolving this issue. Thus, the central government wants to remove, reduce and regulate the power of interest groups and local governments. It wants to use more aggressive marketization to reduce the power and interference of interest groups in regard to economic development. We also should relate this report with several of Xi’s recent activities, such as sending inspection groups to local provinces and ministries and asking local leaderships to conduct self-criticisms. I think Xi is using a variety of methods to ensure that interest groups and local officials get along with the central government. By doing so, the new leadership wants to make sure that their policies can be implemented locally. In the coming decade, it will be interesting to watch the interactions between the central and local governments as well as interest groups. Will Xi’s new policies of marketization and power centralization by the central government really work? Or will reforms encounter major resistance from interest groups and local governments? That is the key to Xi’s success or failure. I’ve seen a number of analyses that have asserted that Xi Jinping emerged from the Third Plenum as the most powerful leader of China since Deng Xiaoping. Do you subscribe to this? If so, why? If not, how much power do you think Xi has relative to his two most immediate predecessors? Yes, there is reason to believe Xi will be the most powerful Chinese leader since Deng Xiaoping, especially after the establishment of two organizations, the Leading Group on Reform and the National Security Commission. However, I think China watchers should avoid seeing everything from the perspective of power. I think that Xi is trying a special way to establish his own “cabinet” through these two organizations. One of the unique things about China’s political system is that a new leader has limited power on deciding on key positions of his team. Decisions are made before he comes to power, and the main officials such as the members of the politburo are mainly selected by predecessors. This arrangement often has restrained the new leader’s ability to make changes, Hu Jintao being the best example since he was always in Jiang Zemin’s shadow. So if Xi Jinping wants to avoid Hu’s fate, he has to change this power system. Therefore, by creating these two organizations he can appoint people he likes to key positions to ensure proper implementation of his reforms. It is speculated that his main economic advisor, Liu He, a Seton Hall alum, will play a key role in the Leading Group on Reform. Of course we need to watch whether the new power arrangements can be implemented smoothly. This is another key to determine the reforms’ success. Speaking of the leading group on reform and the national security commission. Regarding the latter, it seems unclear as it whether the group will focus on external or internal security. Xi has said it will concentrate on both. I was just wondering if you had any thoughts on this new commission. For instance, do you see it as primarily a body to ensure domestic stability or to deal with the growing number of foreign policy threats the leadership in Beijing sees? Is the line between domestic and foreign threats increasingly blurred in the eyes of the central leadership? I noticed a lot of discussion about the National Security Commission. People are wondering whether it will focus on domestic or foreign affairs. I believe it is for both but with more emphasis on domestic stability. From Beijing’s perspective, the troubles in Xinjiang and Tibet are much more serious than the disputes in the South China Sea. This is another example showing that the reforms were in response to problems. In recent years, a major issue for Beijing has been the lack of coordination and facilitation of different organizations, such as the PLA, the Ministry of Public Security, the Ministry of Foreign Affairs, and other state organizations dealing with foreign-related affairs. These organizations often act unilaterally, a problem that this commission would solve. Xi wants to concentrate power in order to improve the state institution coordination. From Beijing’s perspective, many domestic and foreign threats are linked. Also many of China’s foreign relations troubles like the tension with Japan and the conflict in the South China Sea can develop into domestic stability issues. Thus, many issues can be seen as national security issues by outside observers but primarily domestic stability issues by Beijing. Another decision made at the Third Plenum was to relax the one-child policy. However, days later it was announced that the pace of this loosening would be determined by the provincial leaders. How much do you anticipate this undermining the spirit of the reform and in general how big of an impact do you think the new population policy will have? This is definitely a positive change. As I understand it, implementation of this policy will have variations depending on location. The one-child policy was institutionalized in China in the late 1970s. Over time, each province has developed its own regulations, laws, and particular requirements on this issue. In other words, different provinces have different policies. For example, in Jiangsu Province, regardless of city or countryside residence, a couple can only have one child. But provinces like Shandong and Henan allow couples in rural areas to have a second child. In this situation, the central government needs to give local governments time to revise the old laws and regulations. It is also possible that different provinces will have different policies at least for a period of time. Finally, recently there has been a lot of talk about China’s crackdown on the foreign media. Do you see this as a concerted campaign and do you expect it to continue? The reform documents send positive signals that China wants to modernize its economic and social governance. But at the same time, the government is moving in the opposite direction by implementing tighter control of media and freedom of speech. So we are not just talking about a crackdown on foreign media. In recent months, we saw enormous government efforts to control the domestic media, especially social media. These seemingly contradictory maneuvers have rationale from Beijing’s perspective. An important lesson Beijing has drawn from the 1989 student movement was that too much media freedom will bring political uncertainty and be a major hindrance to economic reform. While the government is determined to carry out reform, it believes control of the media and opinions is necessary so it can concentrate on its work. However, it is doubtful whether a complete separation of political and economic reforms and the manipulation of the media and opinions in an age of social media are even possible. This is another key aspect to watch for in the implementation of this ambitious reform plan.